Several events over the course of my Masters Degree at Oxford have taught me about the role of compassion in our lives, and indeed the various understandings and definitions of the term. In November 2014 I attended a conference hosted by the Dalai Lama Centre for Compassion in Oxford, which explored the different ways in which we can understand what ‘compassion’ means. Four different philosophical perspectives discussed: the limitations of science, in that compassion (on its own and as an element of spirituality) cannot be measured or quantified; the role of compassion in western moral philosophy; what compassion means in Christianity; and finally compassion in Buddhism. These talks inspired the speech I gave at United World College of the Atlantic in January 2015 as part of their ‘United World Conference’, where I discussed the importance of allowing compassion to influence one’s life, how it may be used in Model United Nations (MUN) and, on a grander scale, how compassion has been used in the creation and implementation of the Millennium Development Goals (MDGs). After my February visit to the Organisation for Economic Co-operation and Development (OECD) and The United Nations Educational, Scientific and Cultural Organisation (UNESCO) in Paris, I came to further realise the importance of compassion in the way our world is governed, especially when it comes to the welfare of the people we share it with. All of these events inspired me to question what kind of compassion we look for when we are asked to tackle and face important global issues, and how can I, someone seemingly insignificant, make a positive impact in the world? What follows are some reflections on how compassion has been, or should be, used in the development and implementation of the MDGs, its further utilisation by the United Nations overall and how we might be able to use our compassion to have a positive impact in the world. What is particular about UNESCO is that it’s broad and idealistic aims are used as guidelines for nation states; they should, in theory, serve as a guide for the role of compassion in our lives – on a global, national and local scale. To establish how compassion can influence our actions and the actions of others on an international scale, we need to understand what compassion means and how it has been interpreted by different persons and cultures. The term has many uses, many contexts, and has been applied as an attribute to many different spiritual and social leaders. According to Geshe Tashi Tsering’s talk at the 2014 DLCC conference, as I understood it, in Tibetan Buddhism compassion is not subjective, and is not felt through experiencing the same pain or suffering as someone else. Rather, one needs to understand the nature of suffering. Further enquiry into this branch of Buddhism suggests that compassion is also intrinsically related to wisdom, neither of which can exist without the other. In being compassionate, one becomes wiser and vice versa. In contrast to feeling pity for someone’s plight, the sense of compassion under consideration connotes no sense of superiority or belittlement. “Our life cannot start without affection, and our sustenance, proper growth, and so on all depend on it. In order to achieve a calm mind, the more you have a sense of caring for others, the deeper your satisfaction will be”. How can we use these different aspects of the same concept in our everyday lives, nationally, in the United Nations, or to fulfil the Millennium Development Goals? I think one of the first questions we need to ask ourselves is why we are attempting to achieve these aims. Are we acting out of societal obligation (of a kind that we might attribute to influential trends within Western moral philosophy such as social contract theory) or do we feel inherent compassion, on a more fundamental level, as human beings to love and care for each other (more in line with Buddhist teaching as exposited by Geshe Tashi)? And how can this be reflected in the missions and actions of global organisations such as the United Nations? These goals all reflect the desire to better the lives of the human population, as well as promote a sustainable future for our planet. The United Nations between 2000 and 2015 has clearly been focusing on people and very human issues. However, we should consider as individuals, what it means to be compassionate, and ask if compassion can or should go beyond mankind. Arguably if we consider compassion to be boundless and limitless, then it should extend beyond and transcend the human, encompassing all things with which we coexist. It is perhaps worthy of concern, in this context, that only one out of 8 issues facing our generation, according to these goals, is the environment (c.f. MDG number 7). A fundamental condition of our survival as a species, and the survival of other species with which we share our planet, is being rapidly destroyed: there is, in my opinion, no more important issue to address. Further questions pertinent to the topic of compassion may be raised with respect to the other MDGs. For example, whilst the environment is an issue that ignores political borders, all bar one of the MDGs are relative to nations. They impact different countries in different ways, and in some cases are barely present. Whilst they are a part of the wider mission to eradicate extreme hardship, the extremity varies between nations for each one. Does this mean that some nations are under no real obligation to assist and aid those in need, because they themselves are not affected? Furthermore, do we have some kind of hierarchical order of importance for these issues? Which do we tackle first? How do we know which are the most important? Regarding the 7 MDGs which relate directly to human welfare, we might turn to Maslow’s hierarchy of needs. According to this ordering, our physiological needs are fundamental; these are the ones that are essential to survival in its most raw sense. Yet only half of the MDGs are existentially essential. This gives us some reason to question the choices society has made on our behalf as to which ‘needs’ are most pressing at the moment. Additional problems with the MDGs arise when we consider their inflexibility. Their longevity means that they are unable to respond to urgent and immediate crises. It is notable, in light of recent events, for instance, that there is still no MDG which is explicitly targeted at forced migration and asylum seekers. Perhaps it has been assumed (or hoped?) by the UN that in tackling the problems outlined above, conflict will by default be eliminated. But of course, armed conflict, and its consequences have not been eliminated yet, and the present situation in the Middle-East looks as likely to escalate as to abate. Indeed, issues which involve the so-called Islamic State have been bringing to the forefront of our minds and emotions what compassion truly means. Here we have examples of very pressing human issues: when we consider the lives of the 16 year old girls who travel to Syria in order to marry a Jihadi, the wanton destruction of mankind’s heritage and the pressing and urgent consideration of mass migration out of the Levant. As an archaeologist, I find the demolition of ancient cultural history to be abhorrent. The world’s response to the destruction of sites such as Palmyra or Nimrud has been unified (as expressed by UNESCO): we have all lost part of our identities. It is a demonstration of the ignorance of Islamic State. Furthermore as a human, I cannot stand the thought of the pain and suffering which thousands of people are experiencing daily, whilst I sit here writing about it. These issues, for me, are all as important as the hundreds of thousands of refugees who are attempting to make their way into Europe in order to evade persecution, torture and in some cases death. The responses throughout Europe have been varied: Greece, at a time when they too are in need of compassion and acting as something of a gateway to the rest of Europe, has seen hundreds of thousands of migrants cross the country. Macedonia, Bulgaria and Hungary are attempting to stem the flow, whilst Angela Merkel has stated that “there can be no tolerance of those who question the dignity of other people… there is no tolerance of those who are not ready to help, where, for legal and humanitarian reasons, help is due”. Nigel Farage on the other hand recently commented that “at the moment the EU’s common asylum policy has absolutely no means whatsoever of checking anybody’s background and I would say we must not allow our compassion to imperil our safety”. 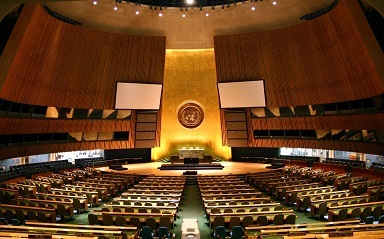 Countries debate what to do and consider political implications whilst the United Nations and the United Nations High Commissioner for Refugees urge Europe to act now, citing the increasing threat of human trafficking as one of the reasons for haste. An interesting dilemma faces Europe: do we forego socially constructed national boundaries and welcome those in need with open arms, or do we become insular and consider the safety and well-being of those at home. How can we unite wisdom and compassion as Tibetan Buddhism recommends in this situation? I would suggest that in such a circumstance we must remember that “the more you have a sense of caring for others, the deeper your satisfaction will be”; I believe that political stances must be put aside when considerations of a very basic nature arise – once again I turn to Maslow’s hierarchy of needs. Here we consider the real cost of selfishness in mankind. We must also consider Islamic State overall however. Does our idea of compassion encompass people who behead and murder people with different ideologies? Does feeling compassion for these people suggest that we should we be tolerant of their own extreme and violent intolerance? This is a difficult question which will have to be left for another time. Whilst the global issues outlined above are of importance to our society and lives, the fact that they are dealt with by people who exist almost at an abstract level, so far removed from the individuals on the ground, often makes it hard to conceptualise the impact that you might have. We might often wonder (as I have found myself doing) how much of an influence we can have when it comes to tackling global issues. Is a sense of obligation because of shared humanity enough? How can I, someone so seemingly small and insignificant make a palpable and noticeable impact in the world? One of the issues I have been grappling with personally for the last year or so has been about what my degrees have been for. In April 2014 I was disappointed with the revelation that my undergraduate dissertation would have negligible, if any, impact on the world, let alone a positive one which would better the lives of the people around me. I questioned my ability to help people because of my seemingly tiny place in the world. I was frustrated with my situation and not being able to achieve greater things with what I was studying. What, after all, can one small undergraduate accomplish? But compassion is not just thinking about what I can do to help the poor people who have been suffering at the hands of Islamic State; it is hard to change the world on your own. One must first embody compassion and wisdom in everyday life and then perhaps one can begin to move from the local to the global.